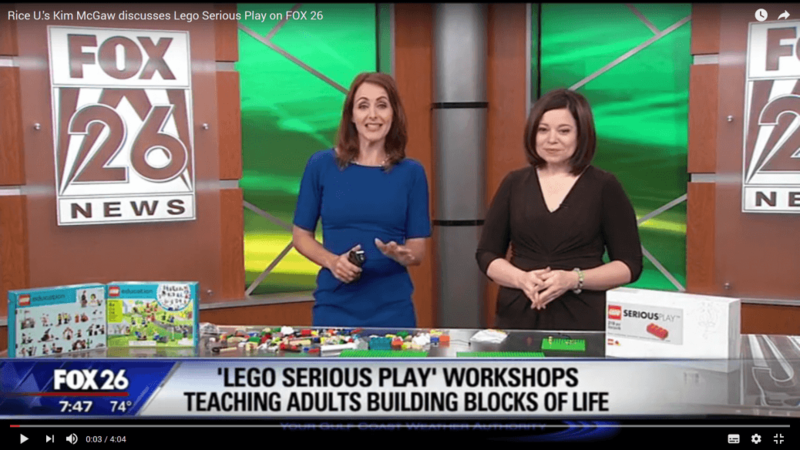 Kim McGaw, director of professional programs at Rice’s Glasscock School of Continuing Studies, discusses the Lego Serious Play methodology on “FOX 26 Morning News Weekends 7 a.m.” April 30. For more information about the school’s workshops using Lego Serious Play, see here for a blog post about it. The Greek philosopher Plato once said, “You can learn more about a person in an hour of play than you can from a lifetime of conversation.” A new program offered by Rice’s Glasscock School of Continuing Studies draws on this ancient wisdom by using Lego bricks to help a company’s employees articulate concepts in a new way that accesses the whole brain and opens up pathways for each team member to contribute to potentially novel and richer solutions. 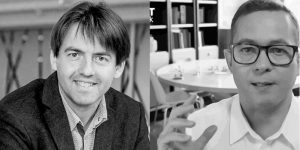 The method can be applied to a variety of company objectives, whether it’s solving a brewing crisis or brainstorming ways to transform a current business model. Sessions might start off with a question such as “Name one challenge that is preventing growth in your company and build your answer with Lego. You have four minutes. Go.” Facilitators support this process by asking questions and helping participants draw out the meaning from their models made out of bricks. 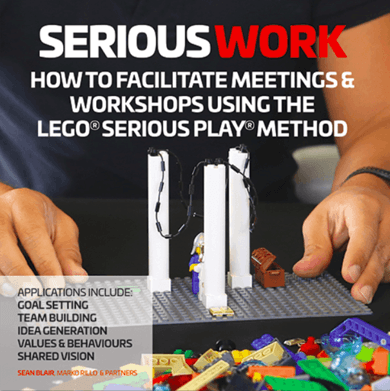 McGaw recently packed several dozen boxes of colorful Lego bricks and minifigures into her car to lead a team-building session using the Serious Play methodology at a global Internet marketing company’s offices in Houston. Developed by The LEGO® Systems Group in Denmark, the method is centered around the use of one’s hands while the mind is in an unplugged state. It capitalizes on this by asking the hands to find a solution that the mind hasn’t been able to come up with on its own. “When it said ‘team-building and communication training,’ I was expecting more of a lecture and not to play with Legos,” said Jerry Lopez, a Web developer at the company. “I’d rather do this than the lecture. We weren’t really thinking about it as team building; we were just playing around,” he said about the method’s hands-on and unplugged approach. 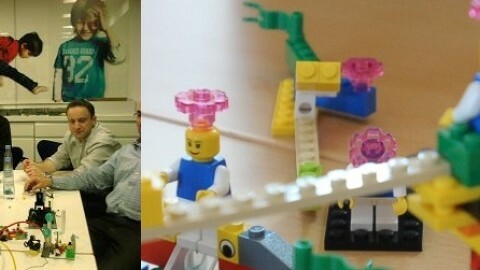 Lego Serious Play complements the Glasscock School’s variety of professional development opportunities, which allow people to obtain new competencies; prepare for a certification exam; improve professional, business and communication skills; or earn professional recertification credit. Groups interested in learning about or receiving the training can contact George Zombakis, professional development program manager at the Glasscock School, at zombakis@rice.edu or 713-348-6101.